"Inc: Large Storage Room + 2Parking"
Style: Apartment "Partly Furnished/Appliances W/D"
Bedrooms: 2 "Beautiful Mountain Views"
Bathrooms: 2 "Plus Large Storage Room"
MOANA PACIFC, WEST TOWER, UNOBSTRUCTED MOUNTAIN VIEW and city lights. Cool side of the building. No need to run your central A/C. Military Welcome. This unit includes all built-in appliances and washer/dryer. Furniture not included. Luxury apartment building with many amenities. This unit comes with TWO Parking stalls and a very large storage room approx 7x10 feet. This unit also features central air conditioning. Utilities include: water, high speed Internet and basic Cable TV. Tenant pays electric. Windows in bedrooms and living room do open; they are full lenght floor to ceiling with adjustable custom sun shades. Lots of privacy as no building are blocking the view or as high as this building. 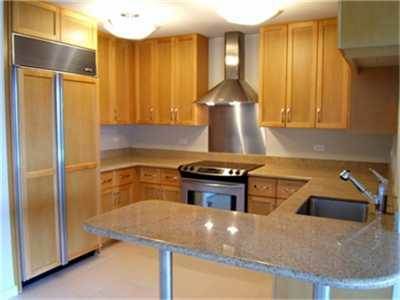 Kitchen is equiped with granite/marble counter tops, Bosch,sub-zero and whirlpool appliances. Built-in side by side refrigerator/freezer, dishwasher and self cleaning electric oven. The livingroom has a walk out lanai with custom full lenght shade screens. There is a large separate dining area with will easily accomodate formal dining room funiture. Guest bedroom has floor to ceiling mirror closets and unobstructed views. The guest bathroom has stand up shower, separate closet with front loading stack washer and dryer. Master bedroom has two double mirror closets, full bathroom with large tub, full length windows with custom sun shades and plenty of room for that king size bed. Amenities include a putting green, six golf driving cages, two tennis courts, spa, swimming pool, and a playground. Each tower has its own theater, game/party room, and a fitness center. 24 Hour Security Guards. Building required security fob for entry. Safe and convenient located near Ala Moana Shopping Center, 15-20 minute drive/commute to Pearl Harbor/Hickam. 15 minute walk to the heart of Waikiki. 8 to 10 minute walk to the Beach, Ala Moana Park, Ward Center, Ala Moana Mall, Blaisdell Arena. Restaurants and shopping all within walking distance from building. Shot walk to the beach, theatres and other amenities. ▪ High Speed DLS included with rent. ▪ TWO covered parking stalls and huge storage room. ▪ Tennis, Pool, Golf, Dirving Range, Theatre, Gym, Sauna. ▪ Convenient Location and walking distance to beaches, malls, restaurants.